Pearl View Condominium is located along Jalan Bunga Pudak, in Tanjung Bunga. It is just a few min. ddrive to the Batu Ferringhi, Gurney Drive and city centre. 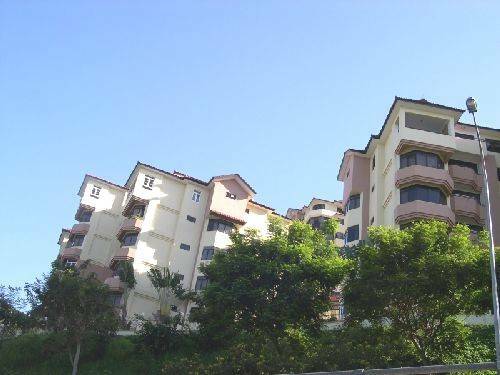 The residential scheme is built on freehold uphill land consisting of only 90 units in 3 condominium blocks. It consists of 84 standard units ranging from approximately 1,300 to 2,300sq.ft. and 6 units of penthouses with approximately 3,500sq.ft. Each unit also comes with a balcony offering panoramic views of the Georgetown skyline and sea. 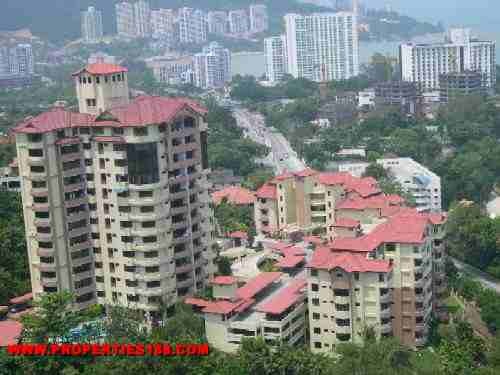 The neighbourhood condominium block are Diamond Villa and Sri Golden Bay. Built-up Area : approx. 1,300 - 2,300sq.ft. Built-up Area : approx. 3,500sq.ft.